This is a rectangular Pan American World Airways porcelain sign. This particular Pan American World Airways sign is predominantly light blue with dark blue print. 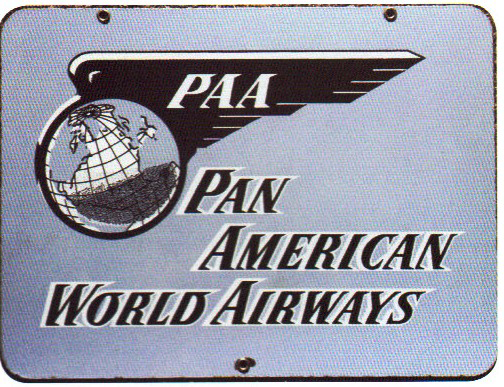 It reads, “PAA, Pan American World Airways” and features a globe in the upper left corner.